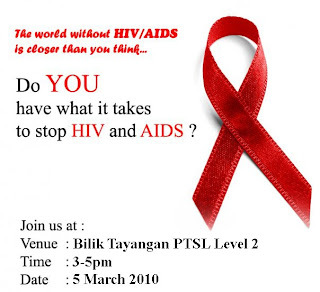 There will be a HIV/AIDS 101 Workshop tomorrow, 1 APRIL 2010. Feeling tensed and need something to take your mind off the upcoming finals, but don't want to waste time on Facebook? Come and join our workshop! 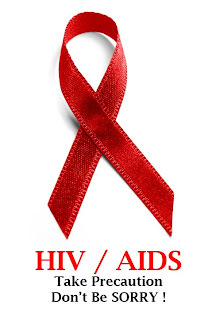 It's EDUCATIONAL, INFORMATIONAL and you are playing a part in WORLDWIDE HIV/AIDS prevention. See you there! What we do and how we are doing it ? And we have Marie Nemoto, intern from Japan come and visit us at our roadshow. Things start to get a little bit interactive here. welcoming The Body Game. Jennifer showing the condom demonstration to Marie. Feel free to drop by, because we are having the exhibition in conjunction with EYLN and Outgoing Exchange department of AIESEC in UKM. it is going to be a BLAST!!!!!!!!!!!!!!! Think you knew it all about HIV/AIDS? 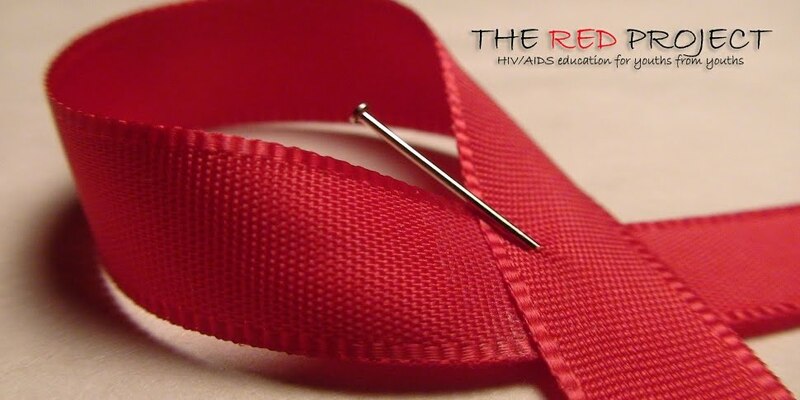 The Red Project is going to have a HIV/AIDS Roadshow in Pusanika level 2 on Friday (19/3/10) at 9am. Do drop by our roadshow. Join us in spreading awareness on HIV/AIDS. Be a Red Agent yourself. 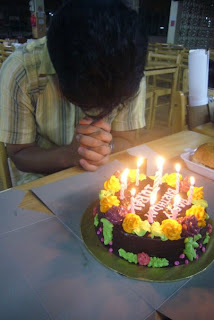 November 28th 2009 - Today, I am celebrating an Anniversary. I don't recall the exact day I found out I was infected with HIV, it was sometime in 1984. The day that stands out most for me is November 28th 1985. On November 28th 1985, I was told by my doctor to inform my family, arrange my finances and funeral, I had six months to live! Soon after, I left my job, friends and family and moved far away so that no one would see me get sick and die...but I didn't die. Twenty-five years later I'm still here. The point is that I missed out on so much during those years when I hid my HIV status and lived far away from family and friends. Years, when I could have been close to those I love but instead I lived in isolation. Years that I could have been close to my father (my mother died when I was young), brothers and sister, grandparents, aunts and uncles, cousins and all my friends. 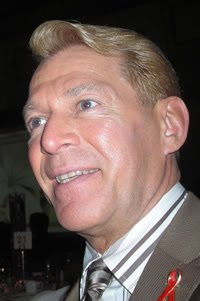 All of whom when I did finally disclose I was HIV+ asked, "Why didn't you tell us? We love you!" What was I thinking? I was deciding for others; deciding what others could or could not handle, what they could or could not know, instead of letting people make up their own minds! The truth is that people infected with HIV can and do live normal lives. They go to school, have careers, marry, have children and much more! Don't waste time worrying about what could or might be. Be present NOW! Enjoy all life has to offer. Learn about HIV. Learn what you can do to stay healthy! Fear will undermine every aspect of your life if you let it. Don't let HIV occupy your mind. Don't let HIV take away your JOY for living! Do everything you love to do and spend time with people who you care about and who really care about you. I must say that once I decided to no longer be afraid of people finding out I was HIV+ and since coming out about my HIV status...my life has been rich and full! Yes, there have been health concerns, sickness, HIV/AIDS medications and side effects with HIV affecting every area of my life, but there is so much more that has made my life worth living! You have one chance in life; make the most of it. The MacJannet Prize recognizes exceptional student civic engagement initiatives based in Talloires Network member universities around the world and contributes financially to their ongoing public service efforts. And there're now 22 other programs (as follow) running for the prize. the eight winners will be announced in April. HIV/AIDS workshop in UKM !! Do not hesitate to drop by our workshop in PTSL where we bring you HIV 101. JOIN our quest to spread awareness on HIV/AIDS. 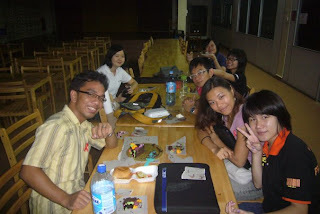 Sad to say, it was Yoo-Jin's last workshop in UKM (Awwww). The RED Agents went to Burhanuddin Helmi Residential College to conduct a workshop. Although the participants are less than 20 people due to the exams going on, however, they are quite interactive and enjoyed participation in the workshop. The Red Agents are really glad to see the audience enjoyed and get the most out of it in the workshop. AIESEC all around the world, introduced by Iqbal. with us is San, and a lot of memories are embedded in these pictures. RED Project is HOT TO GO. 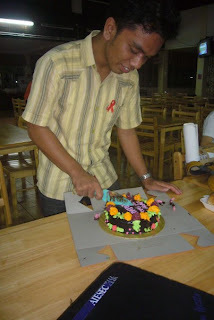 Come join us, show your support for our project and at the same time, get more HIV/AIDS knowledge! Best of all, IT'S FREE!! !